Between the 23rd and 25th of March, KDE Connect developers gathered in Verse's offices in Barcelona to work together for a weekend. It was the first meeting KDE Connect had in a while, and it was very productive! It's been some time since the sprint, and the work carried out there has already started to trickle down into our devices. Nevertheless, we wanted to shed some light on our accomplishments, and encourage everyone to participate. Holding discussions and making decisions is much easier in person. 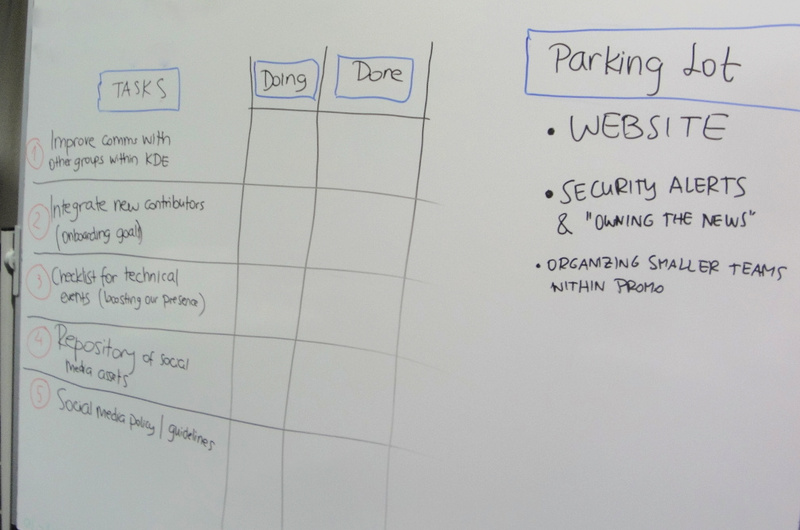 We kicked off the sprint by going through our backlog of ideas to decide what was worth implementing. That helped us set the focus for the sprint and resume some blocked tasks. One of the most requested features for KDE Connect is the ability to send SMS from the desktop. We already supported SMS to a certain degree with the ability to reply to a message. Some people have even set up Kontact to be able to send texts using KDE Connect from there, but it can be annoying to use without conversation history. During the sprint, Simon and Aleix started working on a fully-featured interface for sending SMS easily from the desktop that includes full conversation views and a full contact list. Aleix and Nico polished the Run Commands interface to make it more discoverable, so that we can easily configure KDE Connect to do anything we want. in your phone's lock screen. 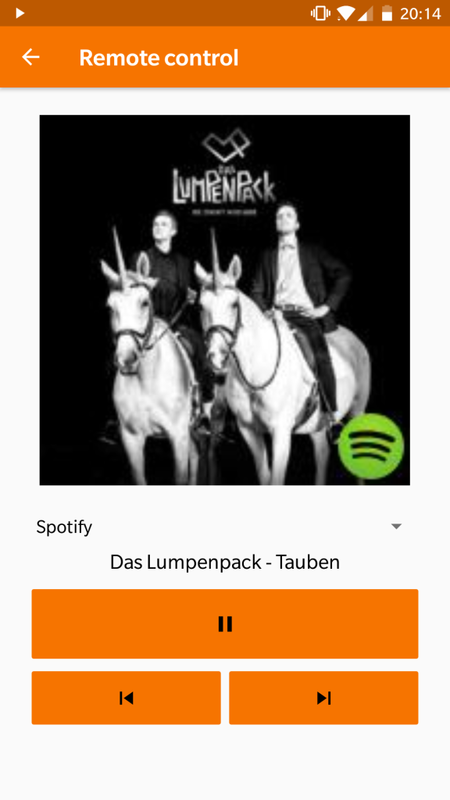 Matthijs improved the functionality of multimedia controls - now it's possible to display the album art from your desktop on your Android devices (both on the lock screen and in the new multimedia notification). Meanwhile, Aleix and Nico started paving the way towards better integration with PulseAudio control, sharing some code between KDE Connect and the Plasma volume control. 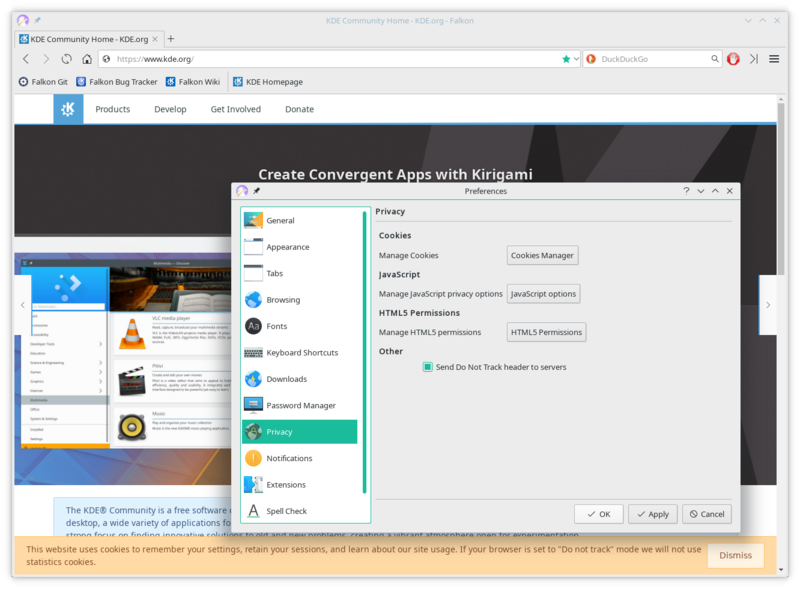 A less visible but crucial part of what makes KDE Connect so useful is its integration with the system. 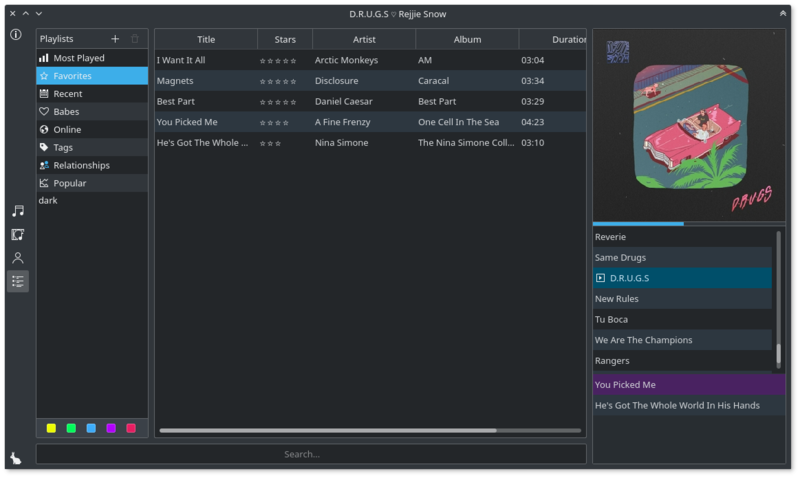 Albert Vaca worked on a KDE Connect plugin for Nautilus, so people who don't use Plasma and Dolphin can also have a great user experience. Another very important but often-overlooked task is documentation. Matthijs invested some time in improving the onboarding process for new contributors. Hopefully we'll get more people involved in the future! Last but not least, we fixed some ugly bugs during this sprint. Albert Astals fixed a long-standing crash in KIO, the KDE Framework used by KDE Connect for transferring files. Simon and Albert Vaca took care of some compatibility problems with Android Oreo, while Matthijs fixed a connectivity issue and even made some progress on Bluetooth support. All in all, the sprint was a pleasant event, and I'm really happy we all got together. 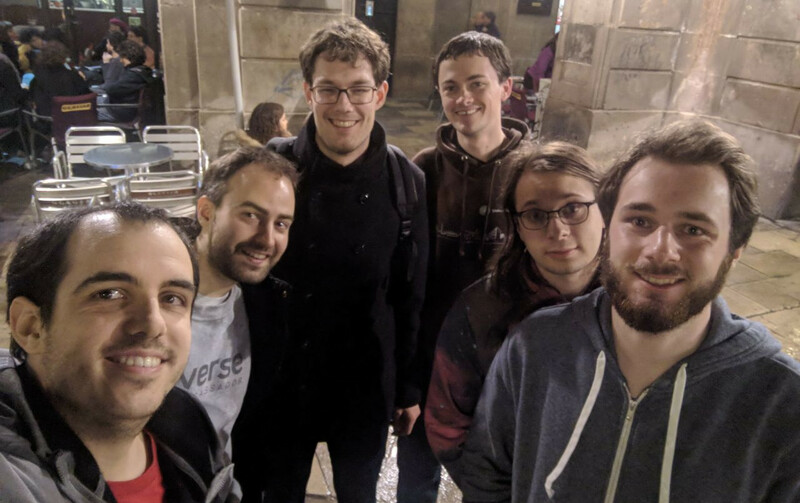 It was nice to meet the developers working on KDE Connect, to connect faces with nicknames, and generally agree on a common path we will follow in future development. Big thanks to KDE e.V. for sponsoring the travel - without their help, this sprint wouldn't have been possible. Don't forget: you too can help KDE Connect by donating to KDE! Story written by Albert Vaca, creator of KDE Connect. KDE Student Programs is happy to present our 2018 Google Summer of Code students to the KDE Community. Welcome Abhijeet Sharma, Aman Kumar Gupta, Amit Sagtani, Andrey Cygankov, Andrey Kamakin, Anmol Gautam, Caio Jordão de Lima Carvalho, Chinmoy Ranjan Pradhan, Csaba Kertesz, Demetrio Carrara, Dileep Sankhla, Ferencz Kovács, Furkan Tokac, Gun Park, Iván Yossi Santa María González, Kavinda Pitiduwa Gamage, Mahesh S Nair, Tarek Talaat, Thanh Trung Dinh, Yihang Zhou, and Yingjie Liu! 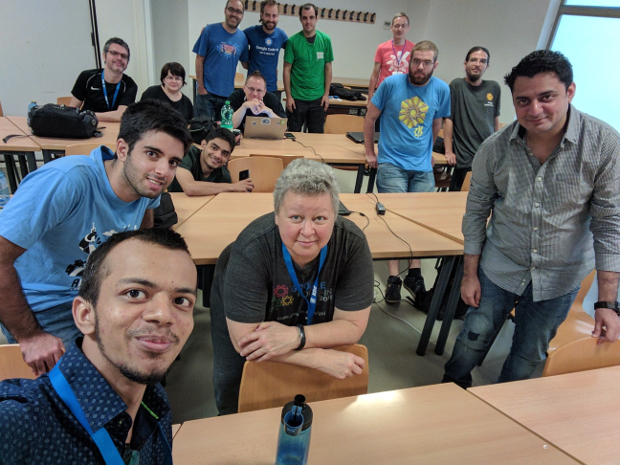 KDE Google Summer of Code mentors at Akademy 2017. Photo by Bhushan Shah. This year digiKam, KDE's professional photo management application, has three students: Tarek Talaat will be working on supporting Twitter and One Drive services in digiKam export, Thanh Trung Dinh on Web Services tools authentication with OAuth2, and Yingjie Liu on adding the possibility to manually sort the digiKam icon view. Plasma, KDE's graphical desktop environment, will also be mentoring three students. Abhijeet Sharma will be working on fwupd integration with Discover (KDE's graphical software manager), Furkan Tokac will improve handling for touchpads and mice with Libinput, and Gun Park will port keyboard input modules to Qt Quick and expand scope to cover input method configuration for System Settings. Another project with three students is Krita, KDE's popular graphic editor and painting application. Andrey Kamakin will improve multithreading in Krita's Tile Manager; Iván Yossi Santa María González (ivanyossi) will optimize Krita Soft, Gaussian and Stamp brushes mask generation to use AVX with Vc Library; and Yihang Zhou (Michael Zhou) is creating a Swatches Docker for Krita. GCompris, the suite of educational programs and games for young learners, takes two students: Aman Kumar Gupta will port all GTK+ piano activities and get it one step closer to version 1.0, and Amit Sagtani will work on creating bitmap drawing and animation activities while preparing Gcompris for version 1.0. Labplot, KDE's application for scientific data plotting and analysis, also mentors two students. Andrey Cygankov will add support for import data from web-service in LabPlot, and Ferencz Kovács will be working on plotting of live MQTT data. will also get some GSoC love. Okular, KDE's PDF and document viewer, gets another two students: Chinmoy Ranjan Pradhan will be working on verifying signatures of PDF files, while Dileep Sankhla will implement the FreeText annotation with FreeTextTypeWriter behavior. 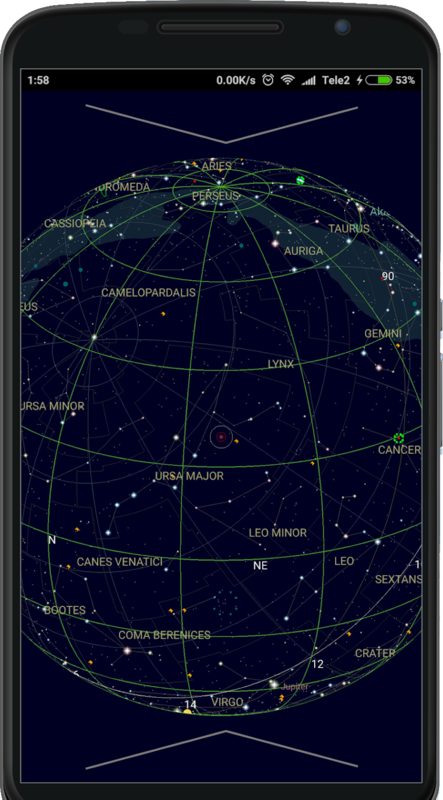 Csaba Kertesz (kecsap) will aim to improve the desktop and the Android version of KStars, KDE's planetarium program, while Kavinda Pitiduwa Gamage will work on KGpg, KDE's graphical key management application, to make it better. Mahesh S. Nair will expand Peruse Creator, adding more features to KDE's easy-to-use comic book reader. Finally, Demetrio Carrara will be working on the WikitoLearn production-ready Progressive Webapp (PWA). Traditionally, Google Summer of Code starts with an introduction period where students get to know their mentors, after which they start coding. The coding period for 2018 has began on May 14, and will last until August 6. We wish all our students a productive, successful, and fun summer! 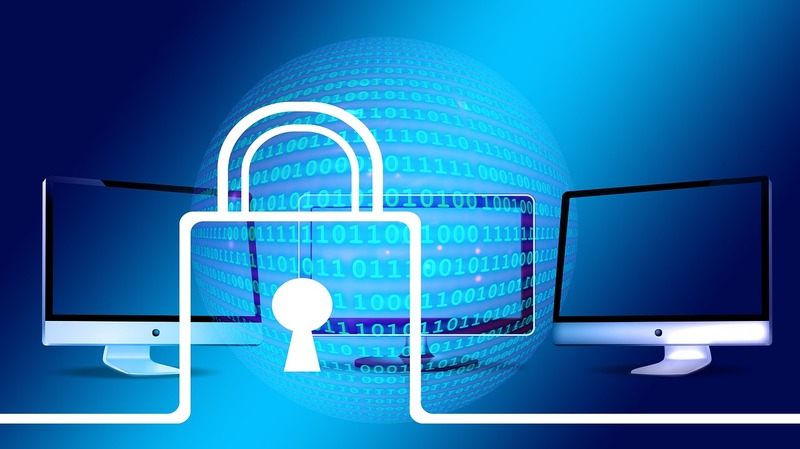 On Monday, a security vulnerability in the OpenPGP and S/MIME email encryption standards and the email clients using those, called EFAIL was published. The discovered vulnerability affects the OpenPGP and S/MIME standards used for end-to-end encryption of emails that specifically encrypts emails for the intended receivers. This is not to be confused with transport encryption (typically TLS) that is used universally when communicating with an email server. Users not using OpenPGP and S/MIME are not affected by this vulnerability. to break that encryption itself. Instead, it applies some clever techniques to trick the intended receiver into decrypting the message, and then sending the clear text content back to the attacker. KMail relies on GnuPG for the OpenPGP and S/MIME handling, so you might also be interested in the GnuPG team's statement on EFAIL. The EFAIL research paper proposes several exfiltration channels for returning the clear text content. The easiest one to understand is by exploiting the HTML capabilities of email clients. If not properly controlled, HTML email messages can download external resources, such as images, while displaying an email - a feature often used in corporate environments. An email client that unconditionally retrieves content from the Internet while displaying HTML emails would now leak the email content as part of an HTTP GET request to an attacker controlled web server - game over. The OpenPGP standard has a built-in detection mechanism for manipulations of the encrypted content. This provides effective protection against this attack. KMail, or rather the GnuPG stack KMail uses for email cryptography, does make use of this correctly. Not all email clients tested by the EFAIL authors seem to do this correctly, though. Notwithstanding, your OpenPGP encrypted emails are safe from this attack if you use KMail. The situation with S/MIME is more difficult, as S/MIME itself does not have any integrity protection for the encrypted content, leaving email clients with no way to detect the EFAIL attack. That's a conceptual weakness of S/MIME that can only really be fixed by moving to an improved standard. Fortunately, this does not mean that your S/MIME encrypted emails cannot be protected in KMail. By default, KMail does not retrieve external content for HTML emails. It only does that if you either explicitly trigger this for an individual email by clicking the red warning box at the top of emails which informs of external content, or if you enable this unconditionally via Settings > Configure KMail > Security > Reading > Allow messages to load external references from the Internet. Starting with version 18.04.01, the latter setting will be ignored for S/MIME encrypted content as an additional precaution. For older versions, we recommend you make sure this setting is disabled. of the S/MIME security model, so simply disabling this as a precaution has security implications, too. Therefore, we have not changed the default settings for this in KMail at this point. The reason is because compromised and thus revoked keys seem to be the more common concern than an elaborate targeted attack that would employ CRL or OCSP as an exfiltration channel (if possible at all). You'll find the corresponding settings for the CRL and OCSP usage under Settings > Configure KMail > Security > S/MIME Validation should you want to review or change them. Research in email client and email cryptography security is very much appreciated and badly needed, considering how prevalent email is in our daily communication. As the results show, S/MIME is showing its age and is in need of conceptual improvements. Also, EFAIL again highlights the dangers to privacy caused by HTML emails with external references. Most importantly, this shows that your emails are well-protected by KMail and GnuPG, and there is certainly no reason to panic and stop using email encryption. 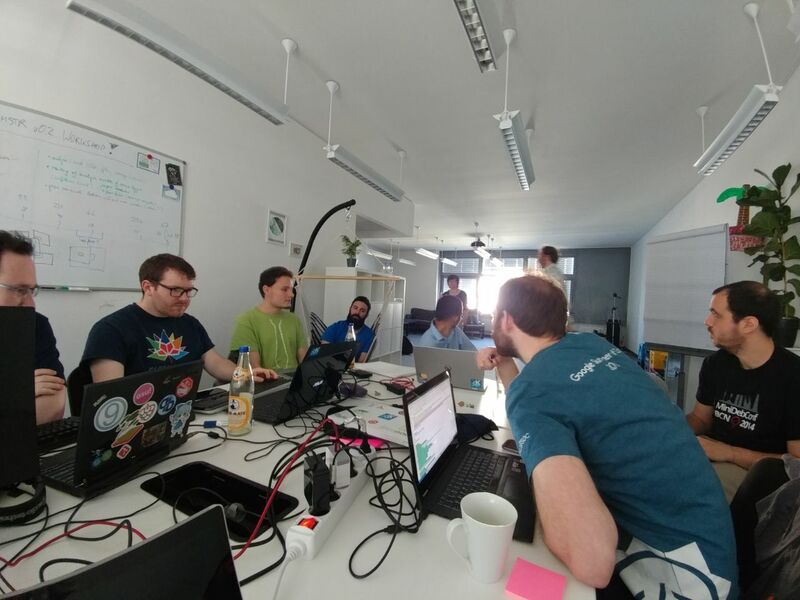 Last month the developers of Plasma, KDE's featureful, flexible and Free desktop environment, held a sprint in Berlin, Germany. 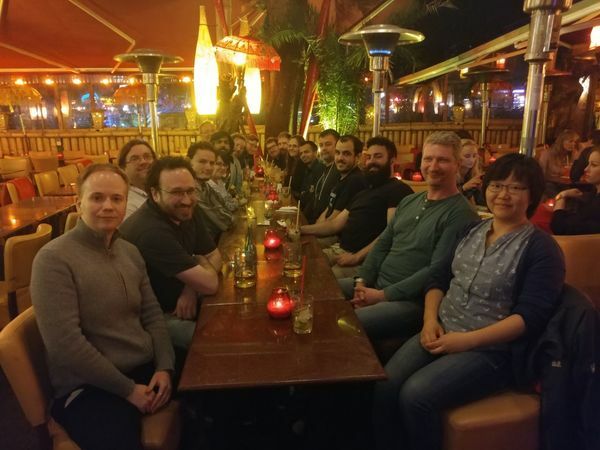 The developers gathered to discuss the forthcoming 5.13 release and future development of Plasma. 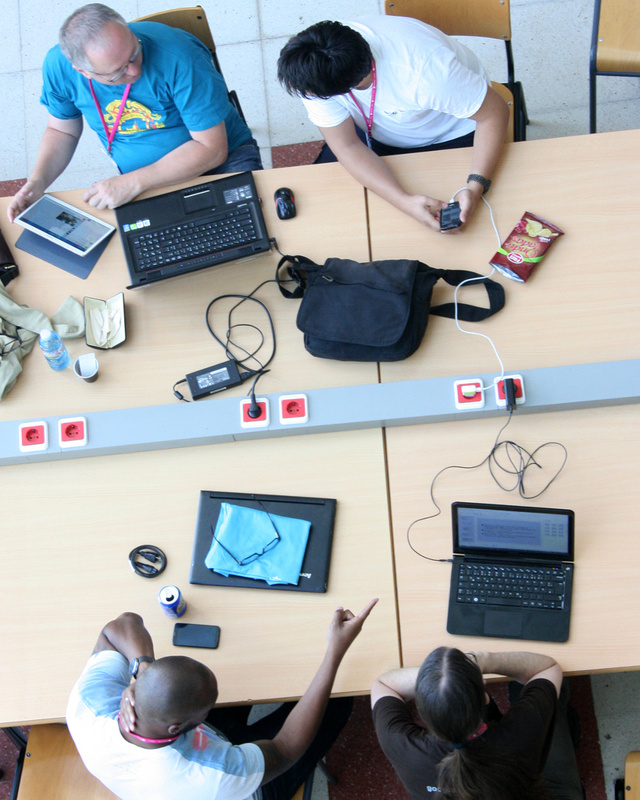 Of course, they didn't just sit and chat - a lot of coding got done, too. During the sprint, the Plasma team was joined by guests from Qt and Sway WM. Discussion topics included sharing Wayland protocols, input methods, Plasma Browser Integration, tablet mode for Plasma's shell, porting KControl modules to QtQuick, and last but not least, the best beer in Berlin. Constructive Discussions with SwayWM - Check! The effort to port Plasma to work on Wayland rather than X continues at a fast pace. Wayland protocols define how applications interact with the display, including tasks essential to Plasma such as declaring which "window" is really a panel. These protocols have to be defined by the Plasma team and preferably standardized with other users of the Linux desktop. One newcomer to the field is SwayWM - a Wayland version of the i3 window manager. 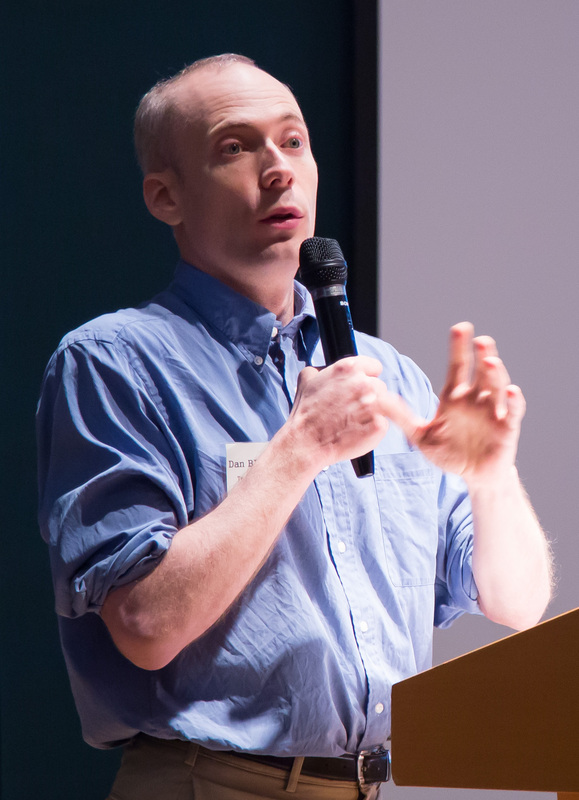 Drew DeVault, the lead developer of the project, joined our Plasma sprint to discuss where Wayland procotols could be shared. The team looked at their Layer Protocol, which covers much of the work of the current plasmashell protocol. We found that this protocol contains some nice ideas and suggested some improvements for the SwayWM developers. The Plasma Output Management Protocol was also discussed. This protocol defines how external monitors are used, and Sway currently just reloads configuration files as needed. The team will consider this solution if the need for such a protocol arises. Protocols for Remote Access were compared and reviewed along with Pipewire as systems for managing audio and video. Drew wrote a blog post with more information on this topic. Exciting Collaboration with Qt - Check! Shawn Rutledge, the lead developer of Qt's new input stack, also joined us for a few days of the sprint. Together, we reviewed the new API and looked at how some of the unique use-cases of Plasma would work with it. The conclusion was that "some parts, including complex drag-and-drop actions, went surprisingly smoothly". A bunch of design changes were suggested and improvements submitted. Working with Qt developers at this early stage is a great win for both projects, as it saves KDE developers a lot of time when they come to use the new features, while the Qt world gets a nicer result. Thanks to Endocode for hosting us in central Berlin. Improved Plasma Browser Integration - Check! Plasma Browser Integration is a fun new feature that will be shipped with Plasma 5.13 next month. It means Firefox and Chrome/Chromium will use Plasma's file transfer widget for downloads and native Plasma notifications for browser notifications. Moreover, media controls will work with the task manager. The browser extensions were tidied up, translations fixed, and accounts on the relevant browser store websites set up. Another decision made at the sprint was that we have a collective duty to make sure KDE's new web browser Falkon is at feature-parity in terms of Plasma integration. Plasma on Pinebook and Tablet Mode - Check! The team continued to work on convergence with other form factors - in other words, on making Plasma run seamlessly on a variety of devices, both desktop and mobile. Bhushan worked on Plasma Mobile images for devices which supports upstream kernel, which is essential for security and more up-to-date system on mobile devices. 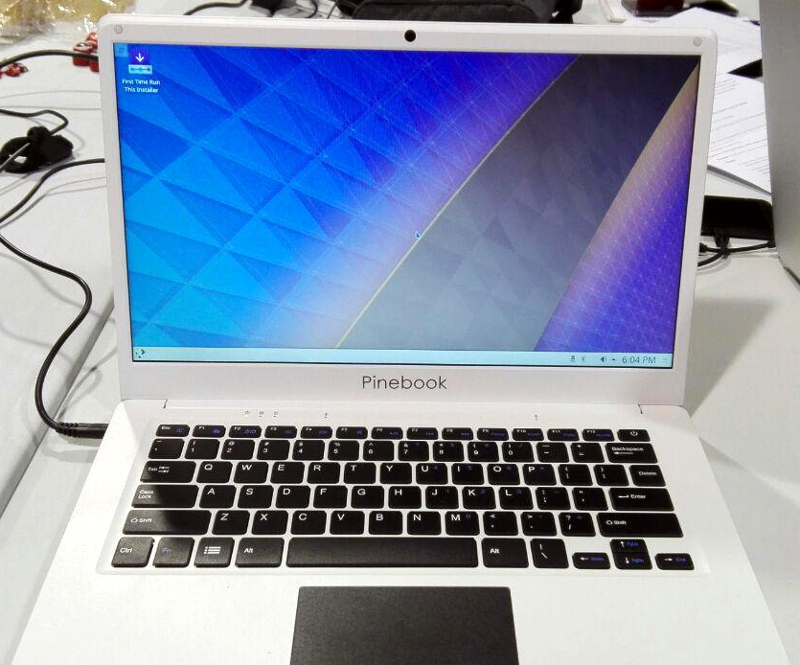 Rohan worked on making Plasma run smoothly and with all Free drivers on the low-end Pinebook laptop. This goes to show that Plasma can function as a lightweight desktop environment without losing the features. Lastly, Marco managed to get Plasma working on a convertible laptop with support for switching into tablet mode, illustrating how we can actively shift between form factors. Talks, Burritos, and Beer - Check! 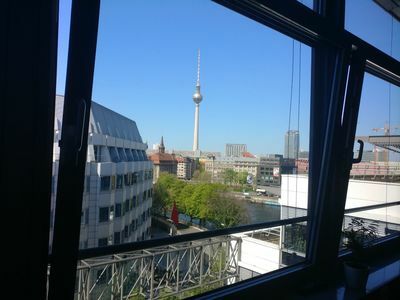 Throughout the week, we also gave talks to our host company Endocode who kindly lent us their central Berlin offices, complete with a fridge full of alcohol-free beer. We also hosted an evening meetup for the local group of Free Software Foundation Europe members and gave some talks over burritos. Special thanks to long-term KDE contributor Mirko of Endocode, who impressed us with his multi-monitor multi-activity high-definition display Plasma setup. Having checked off all the items on our to-do list, we concluded another successful Plasma sprint. Look forward to seeing the results of our work in the upcoming Plasma 5.13 release! Kdenlive is KDE's advanced video-editor. 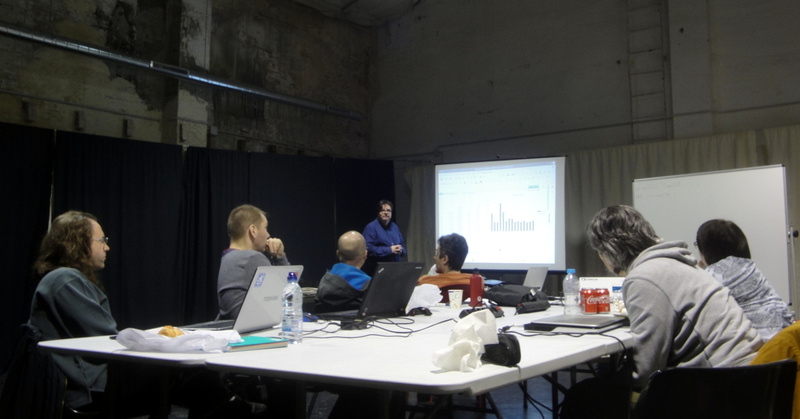 This April, members of the Kdenlive project met up for five days - from 25th to the 29th - for their spring sprint. 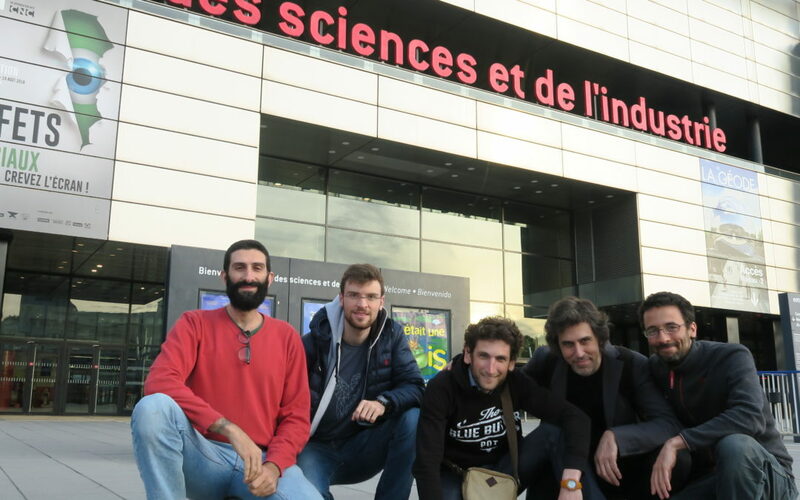 The developers Jean-Baptiste Mardelle and Nicolas Carion, along with professional community videomakers Farid Abdelnour, Rémi Duquenne and Massimo Stella, got together at the Carrefour Numérique in Paris to push the project forward. 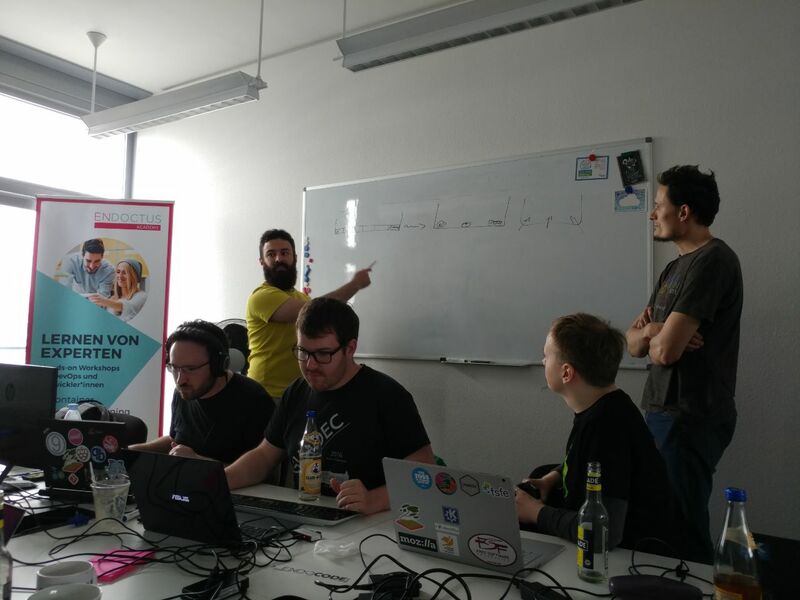 Despite a very busy agenda, which included pitching Kdenlive to the general public, the attendees managed to work some new features into the code. For example, the next version of Kdenlive that hits your distro will include a feature that will automatically split video and audio tracks by default into separate tracks. This saves time, since the workflows for editing video and audio are substantially different, and editors often have to separate tracks to work on them individually anyway. The toolbar that overlays monitors got a makeover and now supports multiple layout guides. The toolbar is translucent, so you can still see what is going on in the clip, and only appears when you move the mouse to the upper right corner of the monitor. This not only looks cool (very important! ), but also makes it practical, since it is invisible most of the time, not blocking your view of the clip. 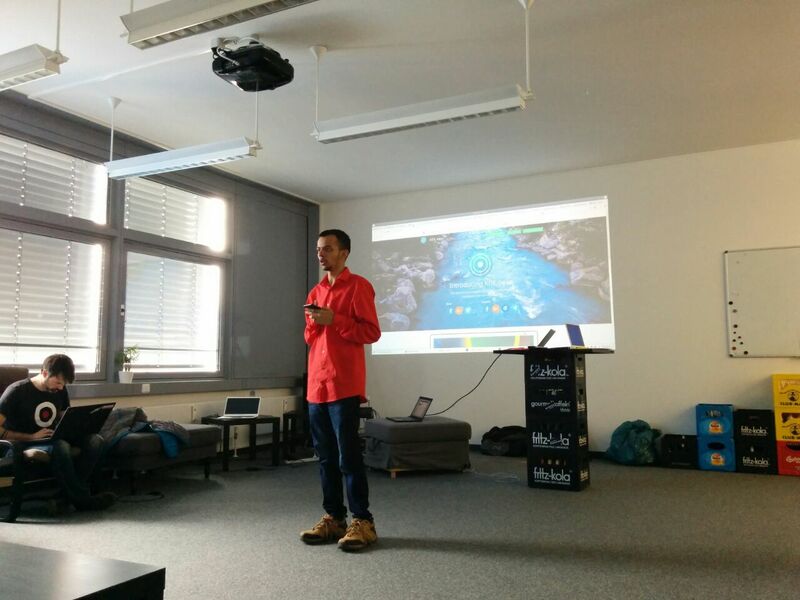 Apart from coding in new features, the team held two public sessions. First they talked with potential contributors. 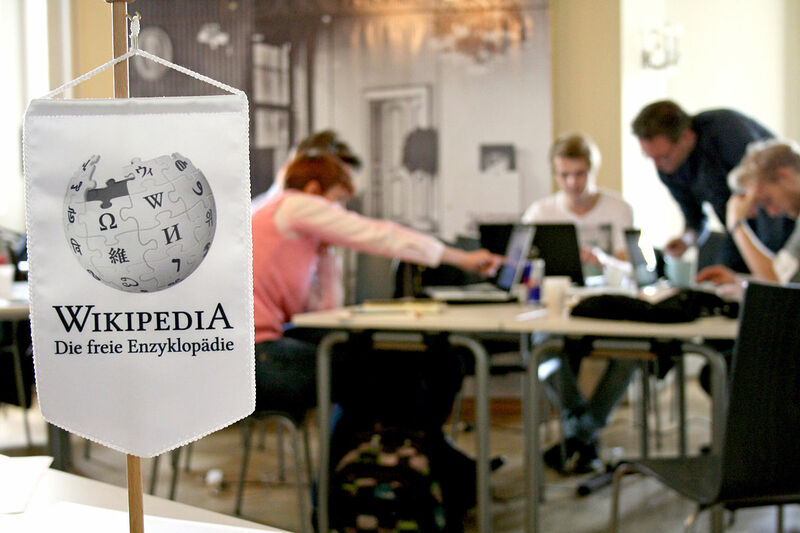 This had an immediate effect, as Camille took it on himself to update the project's wiki, and Elie submitted a patch which added the possibility to manage and download keyboard shortcut templates of other video editors such as Avid, Final Cut and Adobe Premiere Pro. This means an editor used to working with closed-source alternatives will immediately feel at home with Kdenlive. 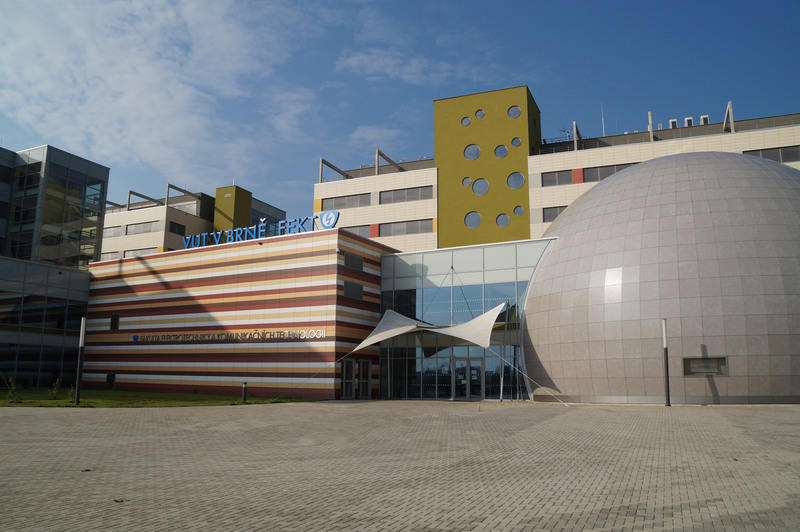 The second public event was with video-editing enthusiasts. The audience had the opportunity to see Kdenlive in action and find out more about the software, as well as talk with the developers. Apart from the incremental improvements that have already made their way into the beta versions of Kdenlive's next release, more exciting features are on the way. During the the sprint, the developers agreed on a roadmap of where they want to take Kdenlive next, and made a priority of incorporating Advanced Trimming and Single Track Transitions in the upcoming releases. Advanced trimming allows you to roll, ripple, slip or slide a clip between two existing ones. This lets you drop a clip onto a track and have the surrounding clips behave in different ways, cropping or displacing frames automatically according to what you want to do. With Single Track Transitions, on the other hand, you can overlap one clip onto another on the same track and apply a transition between the two, instead of having to figure out transitions across several tracks. More longer term goals include Multicam Editing. This comes in handy when you have filmed the same event from different angles with more than one camera. Kdenlive will help you sync up the action so you can cut from one to the other seamlessly. Another goal is to support faster renders, splitting the workload between the multiple cores most modern computers come with, as well as sending heavy workloads off to the GPU. This is what a multicam workflow may look like in Kdenlive. One final thing to look forward to is the integration of Kdenlive with other Free Software video- and audio-editing tools. The developers are looking at Blender, Natron and Ardour, as well as graphics-editing tools like GIMP, Krita and Inkscape. The plan is to incorporate their special and specific features into Kdenlive and make sure all these tools can work seamlessly together. This would mean, for example, that you could create a 3D text effect in Blender and bridge it into Kdenlive without having to go through time-consuming exports and imports. Or you could edit a sequence in Kdenlive and frameserve it to do the compositing in Natron. As with many Free Software projects, the Kdenlive team can always use more contributors. New developers can help get features incorporated sooner and bugs squashed more efficiently. 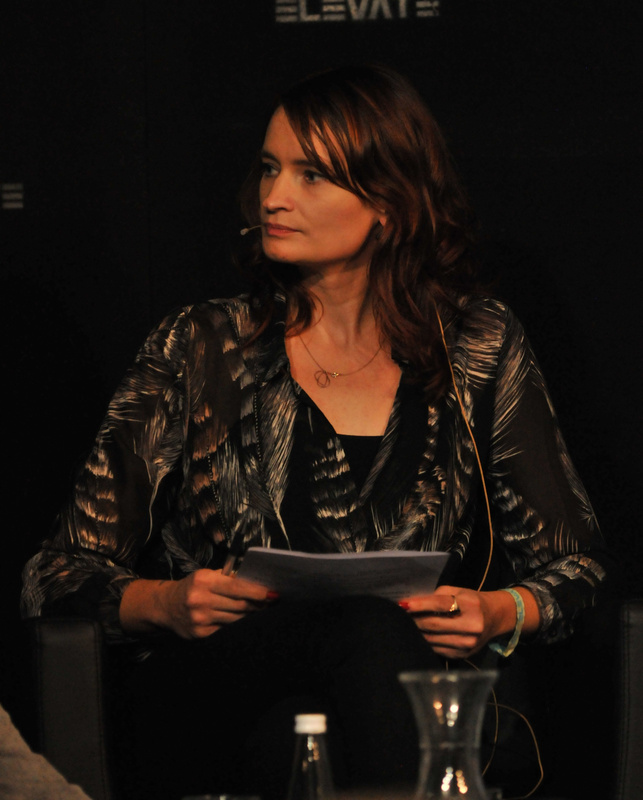 Documenters and translators can help make the guides, manuals and websites more accessible to a larger audience. Join the mailing list, Telegram group, or drop by the #kdenlive channel on Freenode to find out how you, too, can help. 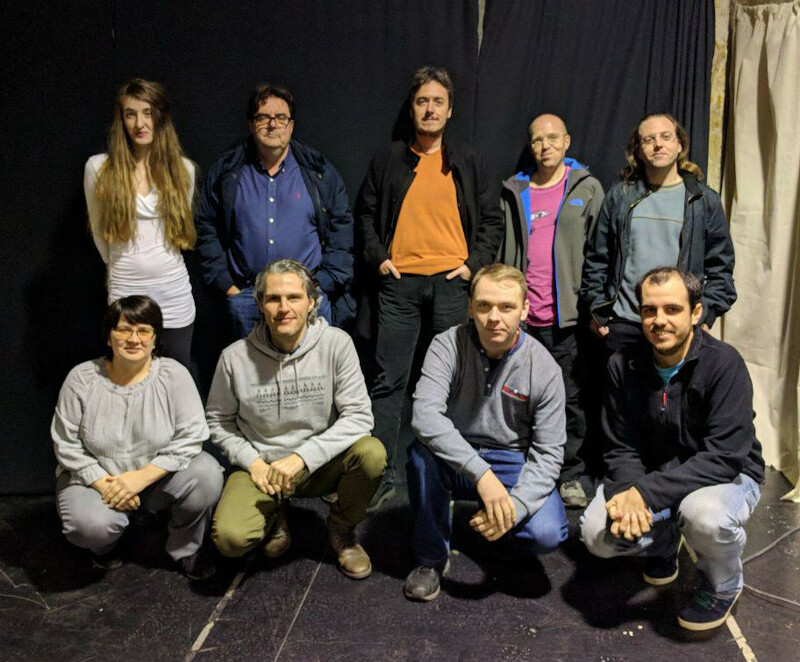 You can also support Kdenlive by supporting KDE: donate and help make more sprints like this one possible. Kdenlive is already a very capable video-editor, but the work the team is carrying out promises to make it a world-class tool that both aficionados and professionals can use. The latest version of Kdenlive is available in many distributions, as well as in AppImage and Flatpak formats. Vincent Pinon is also working on the Windows port which is currently in a Beta stage. Head over to Kdenlive's download page and get editing! You can read more about the Kdenlive's sprint here.